This card is made from one piece of 8 1/2 x 11 cardstock. It has a couple of simple folds and one cut. Then you just fold it together, glue a couple of places and decorate. You can even change up the folds a bit and get a card that has a front panel and opens like a regular card to two pockets inside. 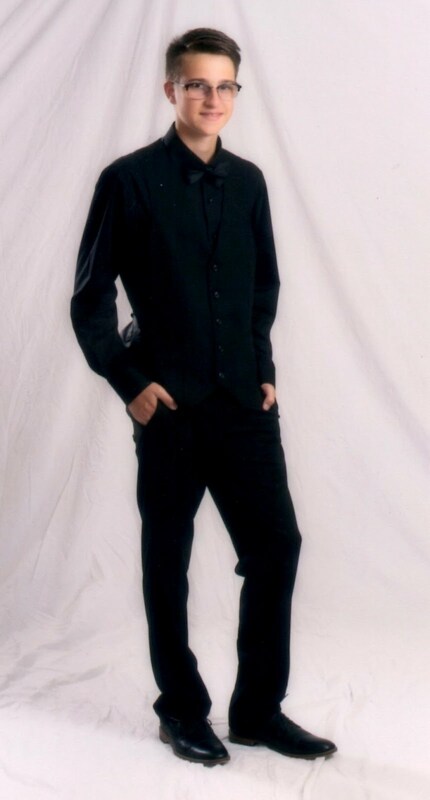 Too adorable!!! 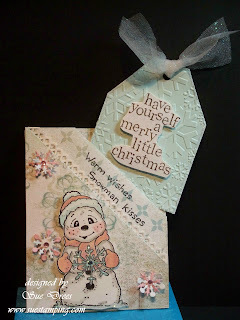 I have this stampcoming - hope I can do him as fabulously as you have! adorable... and this Santa Canvas is also a dream piece of cute art! Love all your things Sue! This card is just so very nice. It is a great idea for a gift card & tag combo...just wonderful. I will have to try to make my way out to Buffalo Stamps & Stuff whenever you are there so I can meet the lovely face behind this amazing talent. Figgy pudding? How did this BG collection escape me??? This is such a sweet colour combination for this precious little snowieman, love the big flake that (s)he's holding. Stinkin' Magnolia, when they are just pictures, they are easier to resist, and then you see something like this perfect creation from Sue and the "NEED" sensation takes over!! Love that puddle of glitter at the basin of the snowperson!! This card type would be great for those too fab to cover papers, thanks for the ideas Sue!! This is really cute, Sue! 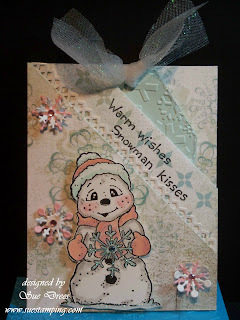 Love the snowman and the tag, terrific card!